without one bit of sole to either shoe. In colonial times, a cordwainer was a shoemaker as opposed to a cobbler. 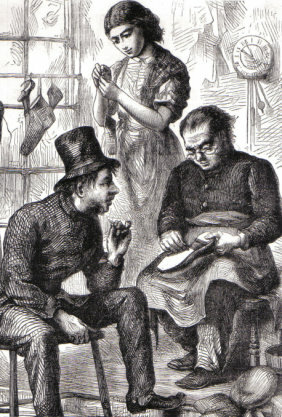 Cobblers had as much as five years less training than cordwainers and were often prohibited by law from making shoes. Shoemakers had arrived in Jamestown, VA, by 1607, and were flourishing by 1616. Christopher Nelme, a British shoemaker, arrived in Virginia in 1619. He was the first officially recorded shoemaker in America. Thomas Beard, the first shoemaker in Plymouth, arrived in 1629. Some resources say that Captain John Smith was a cordwainer, but this was never established. Before leaving England, each colonist was allotted four pairs of leather shoes called “Well-Neat Leather” shoes. Colonists walked everywhere, and with the rough conditions in the wilderness of the new world, all four pairs of shoes wore out quickly, and were expensive to replace. Working shoes were fully welted and made from heavy leather on the top and bottom. The earliest shoes did not have buckles but were secured with overlapping straps. They were made on a straight form, which means that there was no right or left shoe. Shoes could be worn on either foot. To ensure an even wear and to make the shoes last longer, men and women would shift the shoes from one foot to the other. Boot making was the most sophisticated and prestigious branch of the trade. By tradition, the making of boots and shoes for men and the making of shoes for women were separate pursuits. Dancing shoes had lighter soles and were usually made out of material. Cordwainers in New England set up small shops, sometimes in their homes, where they made shoes on request. For custom made shoes, models were made of people’s feet. These models, called lasts, were carved out of wood and kept for subsequent shoe orders. Large plantations usually had a shoemaker to maintain the families’ shoes. Cobblers travelled from town to town, exchanging shoe repair for room and board and circulating news and gossip. They sometimes used a unique shoemaker’s lamp, an oil lamp with water-filled globes that amplified the light at the work area. 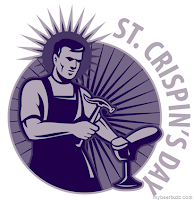 Saint Crispin is the commonly recognized patron saint of shoemakers, though there have been others. Since medieval times, October 25 has been celebrated as St. Crispin's Day feast day and the shoemakers’ holiday. Boot and shoemakers would close their shops on this day in celebration. For each day you comment on CFHS you receive one entry in the kindle and $25 Amazon gift card giveaway. Comment on every post in the month of March and earn 31 entries! This was very interesting. No need to enter me into the contest. 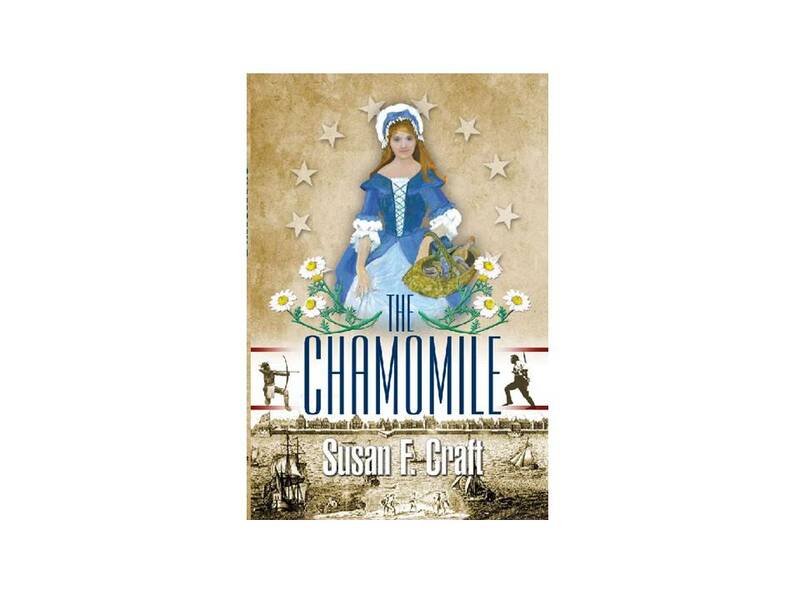 I already own The Chamomile, I just need to read it. So many books, so little time! Have a blessed Easter. Wow thats interesting never really thought about the shoes and how they were made etc but this was interesting. I could imagine the shoes wearing out and hadn't stopped to think where they would get new shoes. I guess I just thought you could get them in shops. Thanks, Jenny, I glad you found the post interesting. I had fun researching for it. Thank you, Cindy. I had fun researching for this post and learning some new information myself. I enjoy sharing even more. Who knew there was so much interesting history in shoes?! I enjoyed the pictures of shoes, and found it interesting that they did not make them in right or left. Sounds quite uncomfortable to me! Thanks for the interesting lesson! You're welcome, Bethany. 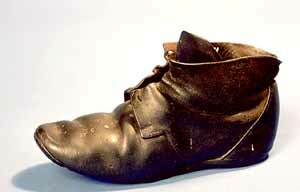 Did you know that they didn't make a right and left shoe until after the 1860s? What a story, that your friends would want to use your bones as tools? Thanks for that glimpse into the history of shoes. Hi, Connie. It was an unusual story. I had never heard it before. 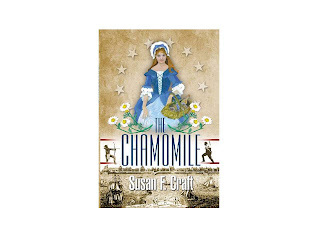 Connie R., you are the winner of a copy of The Chamomile, a packet of chamomile seeds, and a mobcap. I'll email you so you can send me your address. Congratulations. Very interesting post.......I have never heard the word cordwainer. I learned a lot. Thanks, Jackie. I enjoying sharing with others the things I've learned. So glad you enjoyed it, Kathleen. Thanks for the interesting info, about shoemakers. I'd never heard of Hugh's Bones before, but it makes a lot of sense. Great info, Susan! You're welcome, Vickie. I enjoyed researching for this post. I did it because I was trying to find a character for my novel who could be a part of a spy ring, who would travel from farm to farm, home to home, without suspicion. Enjoyed reading the blog on shoemaking - we certainly do have an easier way of obtaining & maintaining our shoes today, don't we? Thanks for leaving a comment, Bonnie. I'm glad you enjoyed the post. 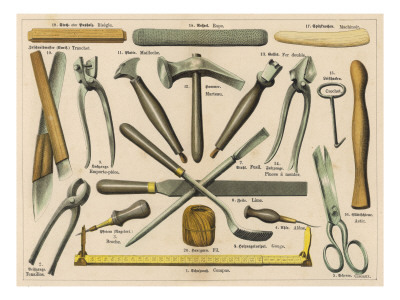 This was an interesting article to read about shoemaking. I did not know there was more than one name for shoemakers. what an interesting story! Thank you for that. Hi, Betz. I love sharing new things, especially when they evoke memories like yours with your dad. I think I need a cobbler for my shoes. Thanks for having the giveaway. Thanks for stopping by, Rose. Very interesting. Thanks for the history lesson! This is very interesting info that I hadn't really thought about. I sure didn't know that shoes didn't used to be made as "lefts" and "rights," rather shoes would fit (I wonder) either foot. Thanks for telling us about shoe making in earlier times and for the giveaway. Thanks, Pam. I enjoyed writing the post. What a wealth of interesting information! I don't ever remember hearing of a cordwainer. As a woman of the 21st century, it is hard to imagine having only one or possibly two pairs of shoes. Growing up in the 1950's we usually had 3 pairs of shoes--one for church, one for school and one for play--which were our old school shoes. We also had a pair of boots, which fit over our shoes for snow in the winter. I remember feeling bad for another child that only had one pair of shoes--little, red tennis shoes. In the 21st century, I notice on the Home and Garden channel that often people are looking for closets big enough to hold all their shoes. It's funny how things change. I'm glad you enjoyed the post, Kay. It was the same for me growing up, except I lived in the South with not much snow, so we had tennis shoes. It would be weird to wear either shoe on either foot since they were not made right and left. I loved reading about the history of Shoemakers and Cobblers. We have a shoe repair shop in town and they do a booming business. I'm glad you enjoyed the post, Janet. Our shoe repair shops do well too. I really enjoyed today's post. Thanks for the giveaway! I'm glad you enjoyed the post, Katie. Happy Easter to you too. He is risen! You're welcome, Pam. It does seem odd not to have a right and left foot. It was that way until the late 1800s, at least for the soldiers during the Civil War. My thanks to everyone who left a comment today. I hope you're enjoying this wonderful Easter Day of celebration. He is Risen!!! Happy Easter to all! I learn so much to be grateful for this month...shoes especially! Such an interesting post about shoemakers and cobblers! Thanks for having the giveaway! Happy Resurrection Day! Jesus is Risen! He is Alive!!!! was thinking while walking that having no left or right shoe would be good as 2 pairs of runners both wore out the left shoe in the same place. Very interesting Susan. I do not remember ever reading about the Cordwainer, but had read about shoes that weren't made for right and left feet. Guess they were made a little longer as to fit. By the way, someone mentioned not having several pairs of shoes. When I was growing up, lots of kids only had one good pair of shoes, getting new ones for school. If they weren't worn completely out, or you hadn't outgrown them, (which lids usually had) then you had play shoes. Lots went barefoot to save on their shoes. And, even now there are lots who can't own several. When you have narrow shoes like me, there only certain stores that carry them and they are real cost. I know 100.00 isn't alot to some folks, but to some(like me) it is really a lot to pay, so most times I buy black because they go with most things. I do have a tan pair now that I got for a birthday year before last. Not trying to get sympathy. just saying. In the far past(and maybe even now), some folks put cardboard or folded paper in for a insole because soles had worn holes in them. In a small town where I lived as a teenager , we had a great older man who had a repair shop that was real good, and cut his price for us, and I'm sure others. God bless him. Wish I had copies of all 31 days of the information we've had here. For, I won't be able to remember it all. Susan, I would love to win your gift package. Would make a good birthday gift. (7th). Thank you. I think you lost me at St. Hugh's bones! :( Oh my dear... huh. That was seriously one of the more interesting bits of trivia that I've learnt by far!! I'm not even sure if I want to re-share that either! :( I mean, ew!? I realise it was done to give the man a legacy and to do good on what he could give in death, but goodness! I would have thought of something 'else' entirely!! Oyy. Thank you for rounding out a very illuminating month! Each day has been a new breath of infomation! I have to agree - St Hugh's Bones sounds kinda creepy! :) Love this info! Connie R. is the winner of my prize giveaway. Congratulations, Connie!! !